Intership (Specialty) in Pulmonology, “Amalia Flemig”, Hospital,Athens,, (1998-2003). E.N.Kosmas, J.Davlopoulos, D.Fotopoulos, E.Perraki, T.Kachri, S.Michaelides: Department of Pulmonary Medicine, A.Fleming, General Hospital, Athens. 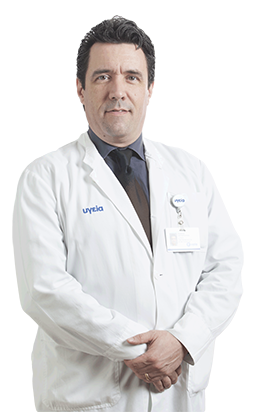 : Relationship between the shape of the forced expiratory volume-time curve and the perception of exertional dyspnea in patients with chronic obstructive lung disease. European Respiratory Journal Madrid, Spain, October 9-13 1999. S.A.Michaelides, E.N.Kosmas, J.Vryoni, J.Davlopoulos, D.Fotopoulos: Dept. of pulmonary Medicine A.Fleming General Hospital Athens: Effect of cholinergic inhibition on supine posture-induced expiratory flow decline in normal and asthmatic subjects. European Respiratory Journal Florence, Italy, August 30- September 3, 2000. E.N.Kosmas, A.Dimitriadou, C.Koutsoyianni, D.Fotopoulos, J.Davlopoulos, E.Perraki, T.Kachri, S.Michaelides, K.Louizou. Dept. of pulmonary Medicine A.Fleming General Hospital, Athens- Hematology Lab. A.Fleming General Hospital Athens: Evidence for Hypercoagulability in a subpopulation of pa-tients with chronic obstructive pulmonary disease. European Respiratory Journal , Florance , Italy, August 30- September 3, 2000. E.N.Kosmas, S.Michaelides, S.Toukmatzi, D.Fotopoulos, T.Kachri, J.Davlopoulos. Dept. of Pulmonary Medicine, A.Fleming General Hospital, Athens, Greece. : Bronchial hyperreactivity to cigarette smoke in a subpopu-lation of healthy asymptomatic smokers. Respiratory and Critical Care Medi-cine, Volume 159, Number 3, March 1999. E.Kosmas, J.Davlopoulos, D.Fotopoulos, T.Kachri, S.Michaelides. Dept. of Pul-monary Medicine ,A Fleming General Hospital, Athens, Greece. The slope of the forced expiratory volume-time curve and the perception of exertional dyspnea in patients with chronic obstructive lung disease. CHEST, /116/4/October, 1999.